We are well-known manufacturer, exporter and importer of a wide range of Prefab Toilets, Portable Toilets, PUF Panel And Sheet, etc. Our offered products are highly admired for their features like durability, fine finishing and compact design. 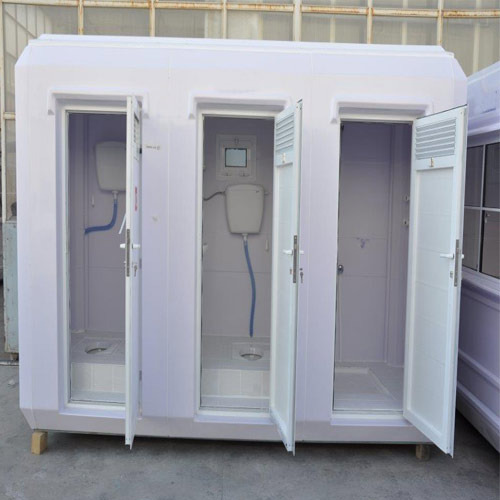 We are engaged in Manufacturing, Exporting and Importing a comprehensive assortment of Prefab Toilets, Portable Toilets, PUF Panel And Sheet, Cold Room And Storage, Cold Room Doors, etc. Also, provide the service of Fabrication Services. In order to meet the set quality standards, the offered products are fabricated using finest quality raw material and advanced technology under the guidance of our skilled professionals. These products are tested on various parameters of quality in order to deliver a flawless range at the clients’ end.